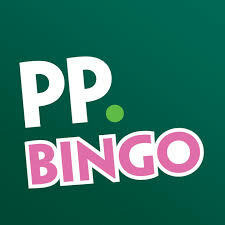 What’s happening at Paddy Power Bingo this month? To celebrate the Academy Awards, Film Week began at Paddy Power Bingo on Monday 1st and will go on until 7th March. There are a number of fantastic promotions all week long and anyone who plays through £10 on bingo in 24 hours will be entered into the daily draw to win £50 which you could use for a night at the flicks! The hard working CMs will be hosting two themed quizzes offering lots of extra BBs. The first quiz will take place on Wednesday 3rd March in the Sapphire Room between 8pm and 9pm. On Friday 5th March the second quiz will run in the Gold Room between 8pm and 10pm, both quizzes are Oscar themed so get your glad rags on and get in the spirit of things! There’s even a Red Carpet Hour from 10pm in the Sapphire Room on Sunday 7th March. Every bingo game that plays will be given a designated name of a movie from the category of Best Picture; if you play in the game that actually wins the award you will win a share of 300 BBs as will your fellow roomies. Paddy Power Bingo have gone all out to provide their members with a week of fun filled Academy Award inspired games so if you love your movies, you’re sure to love Film Week at Paddy Power.